Property management companies have two primary goals in mind: Reduce operating costs for ownership and increase the value of the asset. As a result, many companies focus on spending less by putting jobs up for bid to lower the costs for labor and materials, changing maintenance programs to reduce labor costs and removing energy expenses where they see overuse. All of these are great ideas that can cut costs. Unfortunately the long-term result can be a reduction in the value of material, service and tenant satisfaction. Does this provide a sustainable solution? Perhaps not. Purchase the most effective and efficient products. Operate building systems as a cohesive whole. Many of these strategies are tied to energy conservation, which can be achieved through decreased energy consumption, decreased conventional energy sources or using more energy efficiently. Today the commercial sector consumes 19 percent of the energy in the United States. Space conditioning represents 30 percent and lighting, which is considered the most wasteful component of commercial energy use, represents 25 percent. Many case studies conclude that more efficient lighting and elimination of over-illumination practices can reduce overall consumption by 50 percent. To compound these efforts, property managers can add programmable thermostats, lighting controls and an integrated BAS. Given today’s economy, efficiency is imperative. However, achieving efficiency often exposes a gap between best practice (standardized processes) and efficiency (saving time and money). Most tend to focus more on saving time and money, rather than concentrating on efficiency. The goal should be to create a healthier balance of both. Instead of considering each business process or group in individually, commercial property managers should take a wider perspective and make decisions in respect to common technologies. Think of it as the same way users can choose which operating system they enjoy, and then load common technology platforms to create a system that works throughout the property. For example, most commercial spaces are littered with 2×2, 2×4, and down-lighting – fixtures containing inefficient technology. Manufacturers have developed innovative components to replace these current inefficient lighting solutions with more efficient versions. Technology has a demand curve that drastically drops once it becomes a commodity. Property managers should take great care in understanding this curve for each technology they are purchasing. This is where collaboration and trust is most valuable from venders. Create a synergistic relationship so everyone understands the road map and objective. Going to bid never earns you expertise and consultation; it usually results in a cheap product. Trust your venders to take the lead on sustainable technology. Telecommuting: Corporations can conserve energy by letting some employees work from home instead of commuting each day. Motors: Electric motors consume more than 60 percent of all electrical energy generated and are responsible for the loss of 10 to 20 percent of all electricity converted into mechanical energy. Ecolabels: Educating consumers is paramount in promoting energy efficient products. The research property managers must put into conserving energy often is too time consuming and costly when there are cheaper products and technology available today. This complexity could be reduced with ecolabels that make differences in energy efficiency easy to research. Behavioral Patterns: Technology that allows energy users to graphically see their energy impact can help change how they use it. Real-time energy tracking will help people save energy by changing their actions. Sunlight: Retailers argue that bright lighting stimulates purchasing. However, health studies have demonstrated that headache, stress, blood pressure, fatigue, and worker error all increase with over-illumination. Natural daylighting increases productivity levels of workers, while reducing energy consumption. 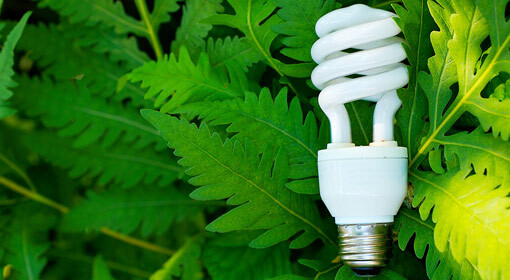 Now it’s your turn: Which energy conservation practices do you think need to be addressed? Do you employ any at your building? This entry was posted in Green, Property Management and tagged energy conservation, energy efficiency, property management. Bookmark the permalink. Great insight and thought provoking material.